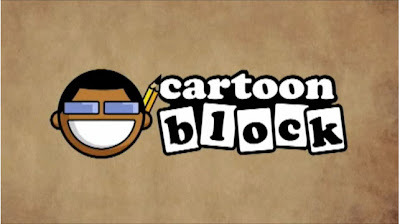 Way back before Codename: Kids Next Door became a totally for reals, 100% actual TV show it was just 1 of 10 pilot episodes that Cartoon Network was mulling over as a potential new show. I guess it must have been a pretty tough decision so they decided to pass the buck and let the viewers decide. That was The Big Pick Weekend, which I've talked about plenty. Yeah... it's no secret I like the Pokemon cards. A bunch of us at Cartoon Network even had a little after-work league going while I was working on the KND pilot. 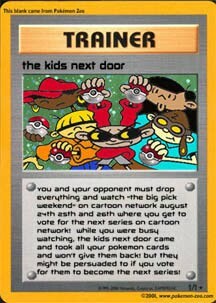 So to drum up some interest in KND and get folks to vote I made a Pokemon card to post around the assorted Pokemon TCG sites I hung around. I'm like totally sooper A-list FAMOUS! What? You don't believe me? I just TOTALLY showed you, didn't I! But you can hear my voice at about :25. That's me directing Mr. Massey at a voice record. That makes me famous, right? ANOTHER GREAT BOOK HITS THE SHELVES! 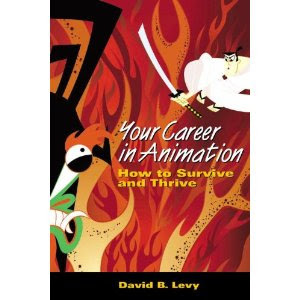 I don't have to tell you that anyone in the industry, or anyone that's interested in animation ought to pick up this book. “Q: How many books on directing animation does it take to screw in a lightbulb? so be sure to order yours NOW. You can do that right over HERE. 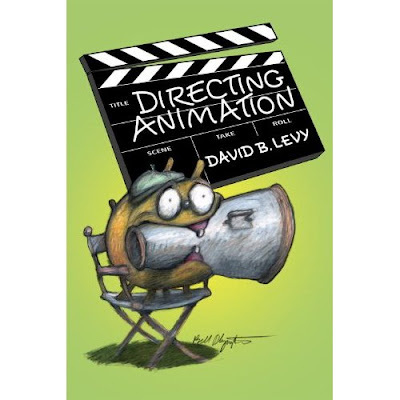 Congrats on another great one, Mr. Levy! After uploading MASTERPIECE the other day, I got a sudden flood of subscriptions to my Youtube channel. Not that there's much there. Just the 1000 TIMES NO book promo and a 5 second clip of Dan Santat eating pizza. Hardly a 'channel', really. But I thought that maybe a lot of people REALLY liked MASTERPIECE and were hoping I'd upload more stuff. Evan works at Warner Brothers making awesome cartoons you love. You really oughta check out The Block! He shows you how to draw your sooper favoritest characters from TV, movies, comics, manga and beyond! 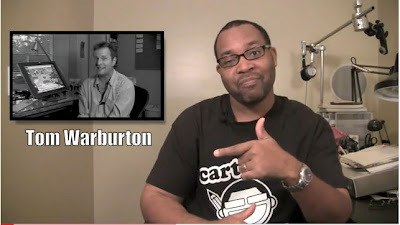 He also conducts some pretty awesome interviews with really talented artists! THEN THIS IS THE VIDEO FOR YOU! Well, there are plenty of funny cat videos on Youtube that oughta keep you busy then. Sooper massive thanks, Mr. Burse! 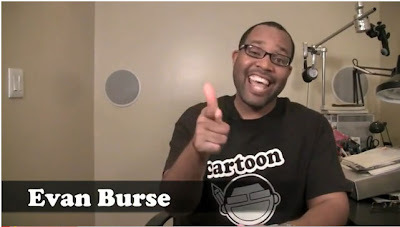 CREATING ANIMATED CARTOONS WITH CHARACTER! And I stick by that! But I never said he couldn't write a darn good book. 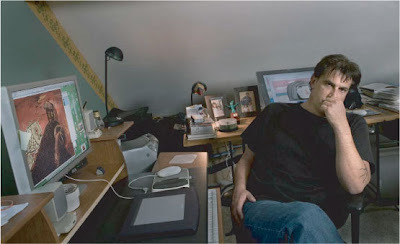 For example, remember that e-book he did? 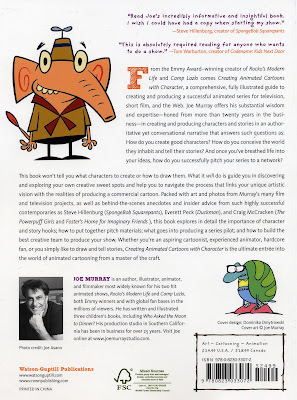 The one about making your own cartoon? I talked about it way over HERE. Well, this e-book was soooooo good that a publisher approached him about turning it into an honest-to-goodness, real live, hold-in-your-hands-and-turn-the-pages booky book! environmental bonuses of making e-books. 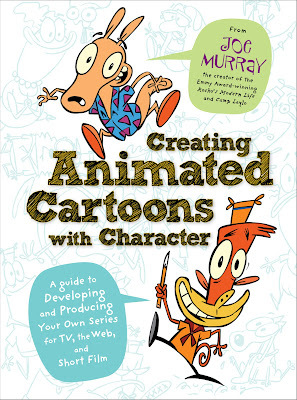 But eventually Mr. Murray decided that you fine folks NEEDED this book and decided to go for it. And guess what? Obviously, the book's success was maybe/possibly/kind of based on the fact that I was mentioned on a couple pages. I even got a three page Q and A interview with Mr. Murray which I'm shocked the critics haven't raved about more (if at all). Or perhaps it's my blurb on the back of the book that makes it such a must have? 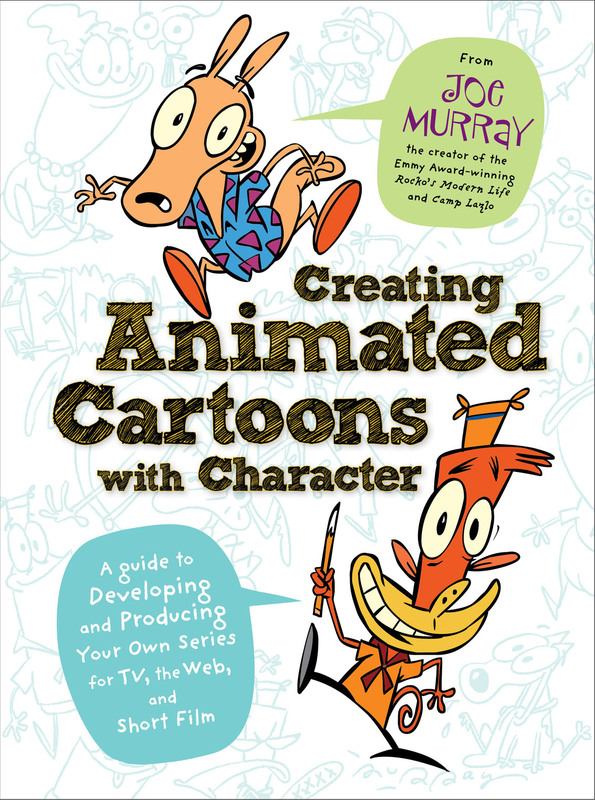 Then again, it might just be that Mr. Murray wrote a brilliant book that gives you firsthand experience on what it's like to create an animated TV show from scratch. I mean, the guy created both Rocko's Modern Life AND Camp Lazlo... so you're not going to find too many more people with that kinda knowledge. 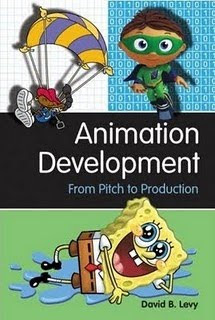 So why are you hanging around reading ridiculous blogs when you could be reading CREATING ANIMATED CARTOONS WITH CHARACTER?! A long time ago when ninjas ruled the Earth and giant robots only cost a dime, I had been working sooper triple crazy hours on back-to-back-to-back projects at J.J. Sedelmaier Productions and was pretty well burnt, fried, toasted, seared, blackened, poached, par-broiled and grumpy as all get out. I couldn't imagine jumping into another crazy-deadlined project and was seriously contemplating quitting animation and becoming a nun. Then my boss J.J. called me at home and told me I was starting a new project the next day. I replied with a whole bunch of bad words I made up on the spot. But being the curious little monkey I am, I ended the string of expletives with a suspicious, "What is it?" J.J. patiently told me that I was going to be working on an animated opening for the ASIFA-EAST ANIMATION festival. And the way he said it made me even more suspicious. So I asked him what the story was. I asked him what the style was. I asked him who was directing it. I could hear J.J. grin over the phone. "That your job. Come up with something. And I don't want to see it until it's done." See, J.J. had been chatting with ASIFA-EAST Sooper President Linda Simensky and asked how he could help the organization. 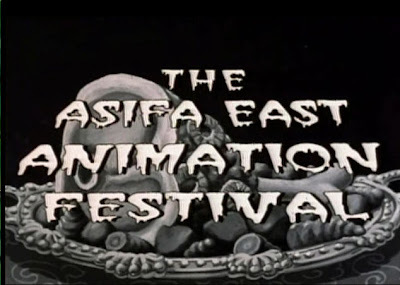 She said that she had always wanted the ASIFA-EAST festival to have an animated opening. So J.J. volunteered to do one on his dime. An ice cream sundae with all the trimmings. And perhaps one of the events that got me to where I am today. Because when J.J. said he was leaving it up to me, he really meant it. 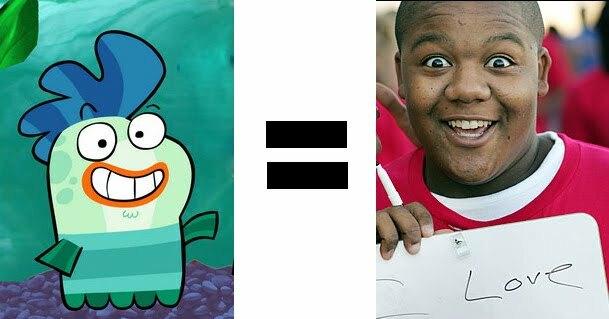 I had to come up with a 1-2 minute concept. I had to design it. I had to storyboard it. I had to hire a voice actor. Organize a crew to animate it. Find music and sound effects. In short, I got to make my own film and get paid for it. It would take me months to describe all the things that happened during the production of what J.J. listed in the company's production schedule as MASTERPIECE-- a title I still, to this day, cringe at. But as I mentioned above, this project helped me to become a storyteller, a designer, a director, and a supervisor. It made me realize how powerful it is to have a finished film. It showed me the thrill of a theater full of people laughing at something you created! And while I'm pretty sure I thanked J.J. for this opportunity at some point, I highly doubt I did it properly. I was young and didn't know how. So thanks, J.J. and Patrice. And the ice cream sundae with all the trimmings. But enough of that crap. You probably wanna see this thing, right? Well, okay. It's right over HERE. So Mrs. Warburton went back to the Old Country (NYC) for a couple days to do a little work and see some friends. That meant it was just me and the two little vikings all on our own. 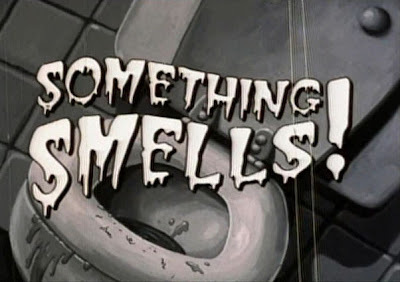 Uh huh... that there's a Disney Silver Pass. It allows the owner and three guests to get into any Disney theme park free of charge at anytime (almost), with the added bonus of free parking and a generous discount off everything in the park. And Disney rocks hard enough to give one to each of their employees. So yeah... me and the maniacs went to Disneyland on Saturday! We rocked the Davy Crockett canoes, Autopia, Mickey's Toontown, and a bunch of other fun (and not too scary) rides. So what could make the day even MORE rockin'?! 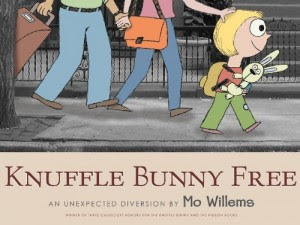 How's about getting a babysitter and going out on the town with Mo Willems? It's the last book of the trilogy and if you don't cry at the end you're a horrible person. So we got together for some root beers with Bob Boyle and Wilson Swain and then grabbed some dinner at Chez Jay (get the calamari steak FTW). Orange County Children's Book Festival! Me and the wolf cubs went last year and had a blast so it was a MUST to go back! Bouncy castles, train rides around the campus, a petting zoo, and all manner of sooper fun kid stuff and all FREE! And you know we had to visit Dan Santat's booth while we were there! We even brought our copy of OH NO for him to sign... which made some folks jealous since Dan had sold out of them pretty quickly. Anyway... I hope ya'll had awesome weekends as well!